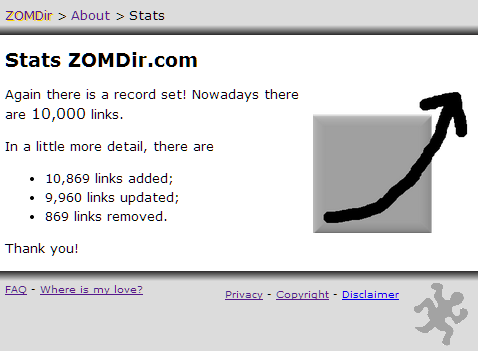 Today, there are 10.000 links on ZOMDir.com. This fantistic number is reached in 212 days. The avarage number of links added per day is 47.